Today is Nowruz (Persian: نوروز‎ literally “new day”), the Iranian New Year also known as the Persian New Year, which is celebrated worldwide by various ethno-linguistic groups. It is celebrated on the equinox in March which can fall anywhere from the 19th to the 21st. This year (2019) it is celebrated today in Iran. 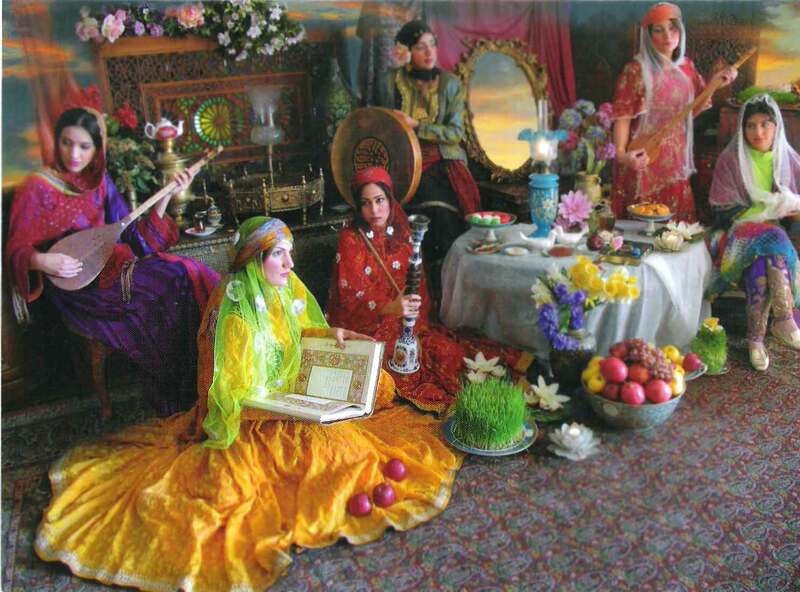 Despite its Persian and Zoroastrian origins, Nowruz has been celebrated by diverse communities. It has been celebrated for well over 2,000 years (possibly longer) in Western Asia, Central Asia, the Caucasus, the Black Sea Basin, and the Balkans. It is a secular holiday for most celebrants that is enjoyed by people of several different faiths, but remains a holy day for Zoroastrians, Bahais, and some Muslim communities. In the 11th century CE the Iranian calendar was reformed in order to fix the beginning of the calendar year, i.e. Nowruz, at the equinox. Accordingly, the definition of Nowruz given by the Iranian scientist Tusi (http://www.bookofdaystales.com/tusi/ ) was the following: “the first day of the official New Year [Nowruz] was always the day on which the sun entered Aries before noon.” Nowruz is the first day of Farvardin, the first month of the Iranian solar calendar. The word Nowruz is a combination of Persian words now, (English: new) and ruz (English: day). A variety of spelling variations for the word nowruz exist in English-language usage, including novruz, nowruz, nauruz and newroz. Charshanbe Suri (Persian: چارشنبه ‌سوری‎, translit. Čāršanbe Suri; Kurdish: Çarşema Sor‎; Azerbaijani: Çərşənbə Bayramı) is a prelude to the New Year. In Iran, it is celebrated on the eve of the last Wednesday before Nowruz. It is usually celebrated in the evening by performing rituals such as jumping over bonfires and lighting off firecrackers and fireworks.In Azerbaijan, where the preparation for Novruz usually begins a month earlier, the festival is held every Tuesday during four weeks before the holiday of Novruz. Each Tuesday, people celebrate the day of one of the four elements – water, fire, earth and wind. On the holiday eve, the graves of relatives are visited and tended. Iranians sing the poetic line “my yellow is yours, your red is mine” (Persian: سرخی تو از من، زردی من از تو‎, translit. zardi ye man az to, sorkhi ye to az man) to the fire during the festival, asking the fire to take away ill-health and problems and replace them with warmth, health, and energy. Trail mix and berries are also served during the celebration. 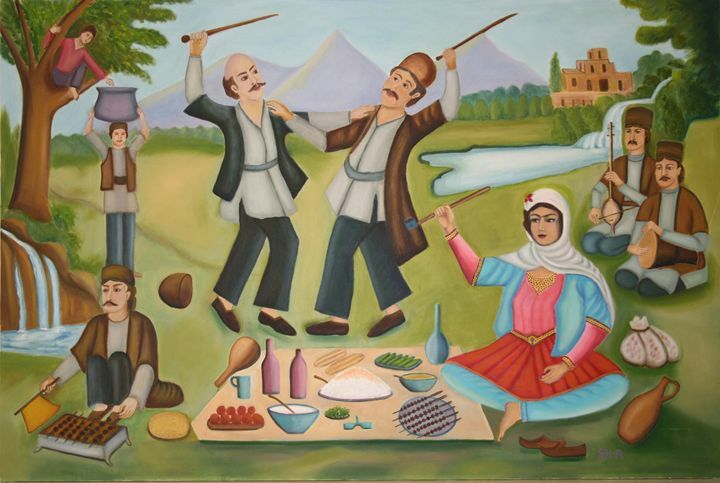 Spoon banging (قاشق زنی) is a tradition observed on the eve of Charshanbe Suri, similar to the Halloween custom of trick-or-treating. In Iran people wear disguises and go door-to-door banging spoons against plates or bowls and receive packaged snacks. In Azerbaijan, children slip around to their neighbors’ homes and apartments on the last Tuesday prior to Novruz, knock at the doors, and leave their caps or little basket on the thresholds, hiding nearby to wait for candies, pastries and nuts. 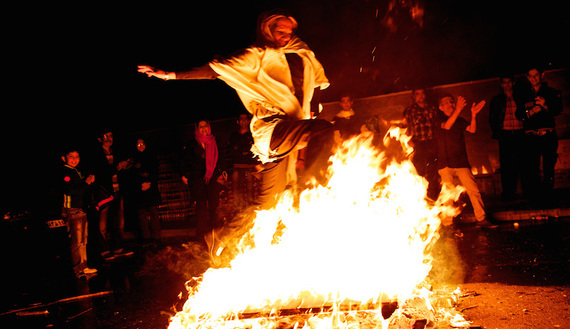 The ritual of jumping over fire has continued in Armenia in the feast of Trndez, which is a feast of purification in the Armenian Apostolic Church and the Armenian Catholic Church, celebrated forty days after Jesus’s birth. There exist various foundation legends for Nowruz in Iranian texts. The Shahnameh credits the foundation of Nowruz to the fabled Iranian king Jamshid, who saved humanity from a winter destined to kill every living creature. To defeat the killer winter, Jamshid constructed a throne studded with gems. He had demons raise him above the earth into the heavens; there he sat, shining like the Sun. The world’s creatures gathered and scattered jewels around him and proclaimed that this was the New Day (Now Ruz). This was the first day of Farvardin. Although it is not clear whether Proto-Indo-Iranians celebrated a feast as the first day of the calendar, there are indications that Iranians may have observed the beginning of both autumn and spring, respectively related to the harvest and the sowing of seeds, for the celebration of the New Year. Mary Boyce and Frantz Grenet suggest: “It is possible that the splendor of the Babylonian festivities at this season led the Iranians to develop their own spring festival into an established New Year feast, with the name Navasarda “New Year” (a name which, though first attested through Middle Persian derivatives, is attributed to the Achaemenian period).” Since the communal observations of the ancient Iranians appear in general to have been seasonal ones, and related to agriculture, “it is probable that they traditionally held festivals in both autumn and spring, to mark the major turning points of the natural year.” That is, the Persian empire replaced the Babylonian empire, and, in the process, assimilated some of its customs. Nowruz is partly rooted in the tradition of Iranian religions, such as Mithraism and Zoroastrianism. In Mithraism, festivals had a deep linkage with the Sun’s light. The Iranian festivals such as Mehrgan (autumnal equinox), Tirgan, and the eve of Chelle ye Zemestan (winter solstice) also had an origin in the Sun god (Surya). Among other ideas, Zoroastrianism is the first monotheistic religion that emphasizes broad concepts such as the corresponding work of good and evil in the world, and the connection of humans to nature. Zoroastrian practices were dominant for much of the history of ancient Iran. In Zoroastrianism, the seven most important Zoroastrian festivals are the six Gahambar festivals and Nowruz, which occurs at the spring equinox. According to Mary Boyce, “It seems a reasonable surmise that Nowruz, the holiest of them all, with deep doctrinal significance, was founded by Zoroaster himself”; although there is no clear date of origin. Between sunset on the day of the sixth Gahambar and sunrise of Nowruz, Hamaspathmaedaya (later known, in its extended form, as Frawardinegan; and today known as Farvardigan) was celebrated. This and the Gahambars are the only festivals named in the surviving text of the Avesta. 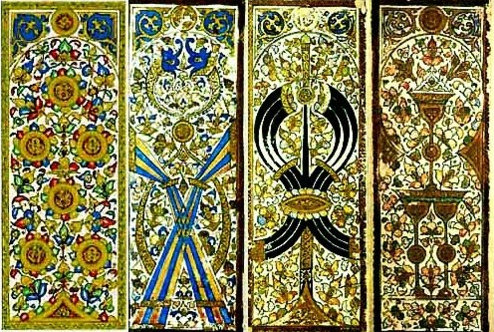 The 10th-century scholar al-Biruni (http://www.bookofdaystales.com/al-biruni/ ), in his work Kitab al-Tafhim li Awa’il Sina’at al-Tanjim, provides a description of the calendars of various nations. Besides the Iranian calendar, various festivals of Greeks, Jews, Arabs, Sabians, and other nations are mentioned in the book. In the section on the Iranian calendar, he mentions Nowruz, Sadeh, Tirgan, Mehrgan, the six Gahambars, Farvardigan, Bahmanja, Esfand Armaz and several other festivals. According to him, “It is the belief of the Iranians that Nowruz marks the first day when the universe started its motion.” The Persian historian Gardizi, in his work titled Zayn al-Akhbār, under the section of the Zoroastrians festivals, mentions Nowruz (among other festivals) and specifically points out that Zoroaster emphasized the celebration of Nowruz and Mehrgan. All agricultural communities worldwide have celebrations of the new year, with many common features – especially renewal, but quite often homage to ancestors, penance for past misdeeds, and hope for a bright future. I am not deeply enough immersed in ancient Persian scholarship to say much about the history of the celebration of Nowruz except that it is very old, and is attested through the centuries. We know, however, that both its dating and its form have changed substantially over the years. 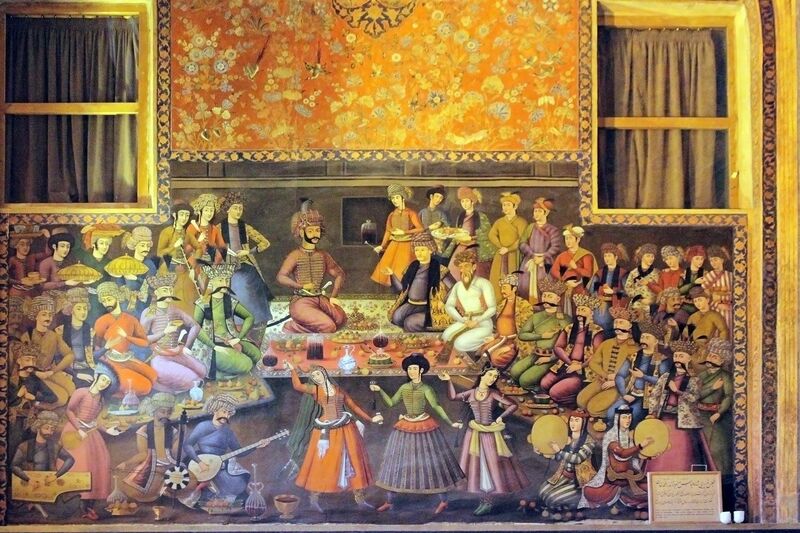 Before the collapse of the Soviet Union, Iran was the only country that officially observed the ceremonies of Nowruz. When the Caucasian and Central Asian countries gained independence from the Soviets, they also declared Nowruz as a national holiday. 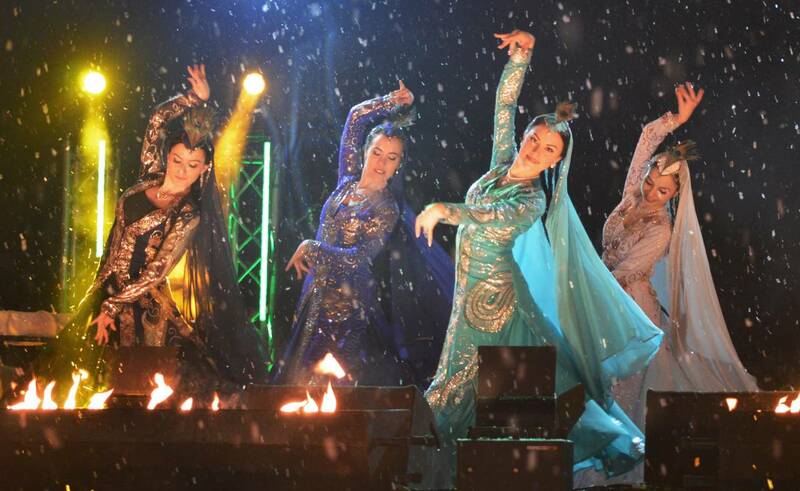 Nowruz was added to the UNESCO List of the Intangible Cultural Heritage of Humanity in 2010. To commemorate the UN recognition, Iran unveiled a commemorative postage stamp during the first International Nowruz Celebrations in Tehran on Saturday, 27th March 2010. House cleaning, or shaking the house (Persian: خانه تکانی‎, translit. xāne tekāni) is commonly done before the arrival of Nowruz. 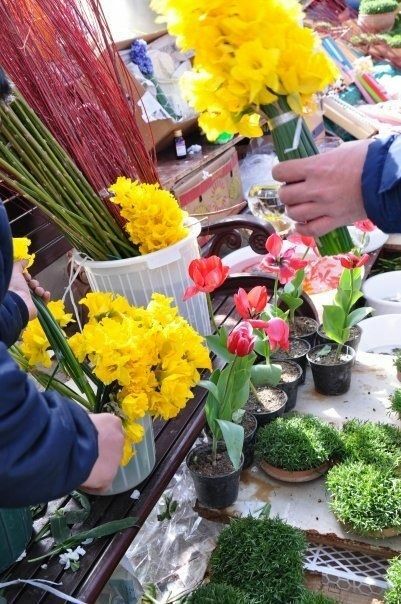 People start preparing for Nowruz with a major spring cleaning of their homes and by buying new clothes to wear for the New Year, as well the purchase of flowers. The hyacinth and the tulip are popular and conspicuous. Parsis adorn their houses with different auspicious symbols; namely, stars, butterflies, birds and fish; and on the day of Navroz, they dress in their new and best clothes and put on gold and silver kushtis and caps. They decorate the doors and windows with garlands of roses and jasmine, and use colored powders for creating patterns known as rangoli on their steps and thresholds. Fish and floral motifs are a favorite among rangolis and considered highly auspicious. During the Nowruz holidays, people are expected to make short visits to the homes of family, friends and neighbors. Typically, the young people will visit their elders first, and the elders return their visit later. Visitors are offered tea and pastries, cookies, fresh and dried fruits and mixed nuts or other snacks. Many Iranians throw large Nowruz parties as a way of dealing with the long distances between groups of friends and family. Sabze (Persian: سبزه‎) – wheat, barley, mung bean, or lentil sprouts grown in a dish. These items are also known to have astrological correlations to planets Mercury, Venus, Mars, Jupiter, Saturn, Sun, and Moon. 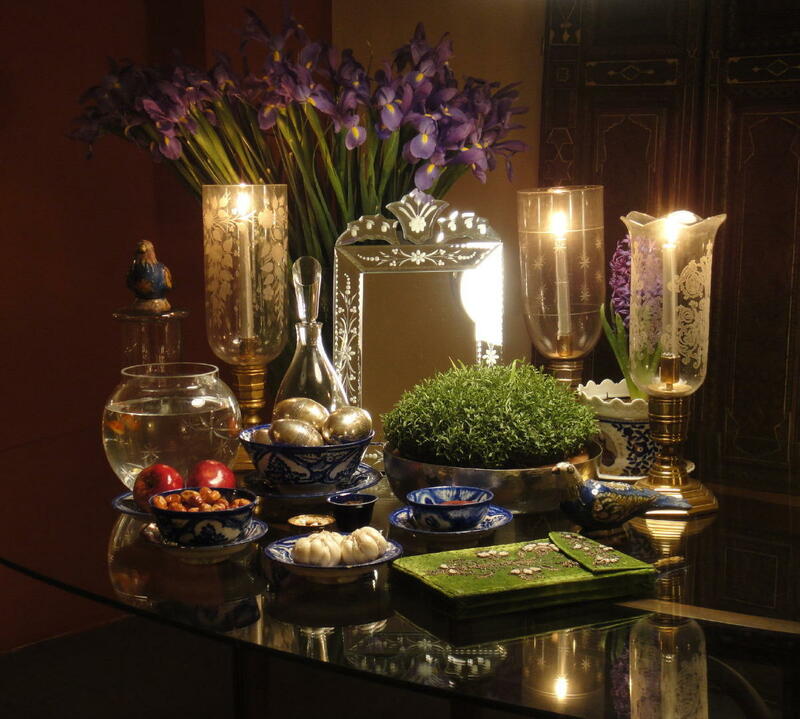 The Haft-sin table may also include a mirror, candles, painted eggs, a bowl of water, goldfish, coins, hyacinth, and traditional confectioneries. 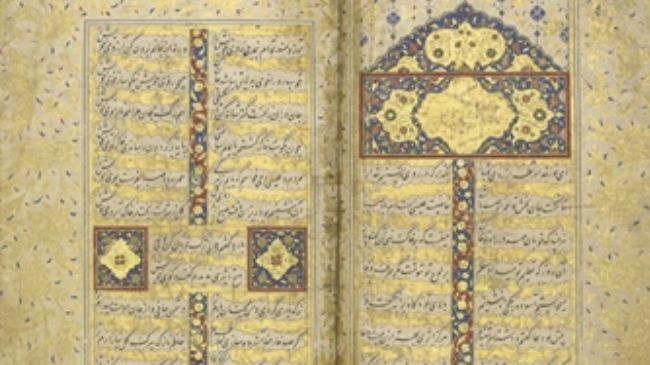 A “book of wisdom” such as the Qur’an, Bible, Avesta, the Šāhnāme of Ferdowsi, or the divān of Hafez may also be included. Haft-sin’s origins are not clear. The practice is believed to have been popularized over the past 100 years. On this date in 913 the Byzantine emperor Alexander III died of exhaustion after a game of tzykanion, the Greek name for polo, allegedly fulfilling his brother’s prophecy that he would reign for 13 months only. Seems like as good a reason as any to talk about the history of the game. Alexander, on the other hand, is scarcely worth a mention; historians variously describe him as drunk, cruel, lecherous, and malignant. 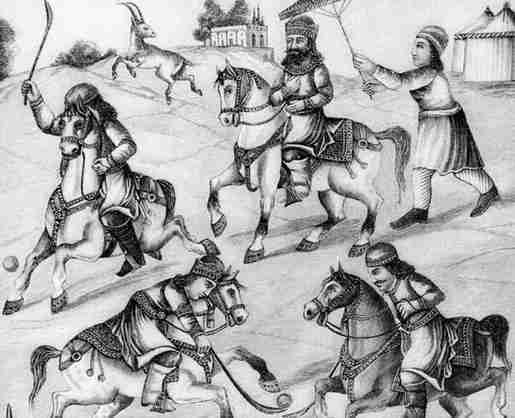 Polo originated in ancient Persia. 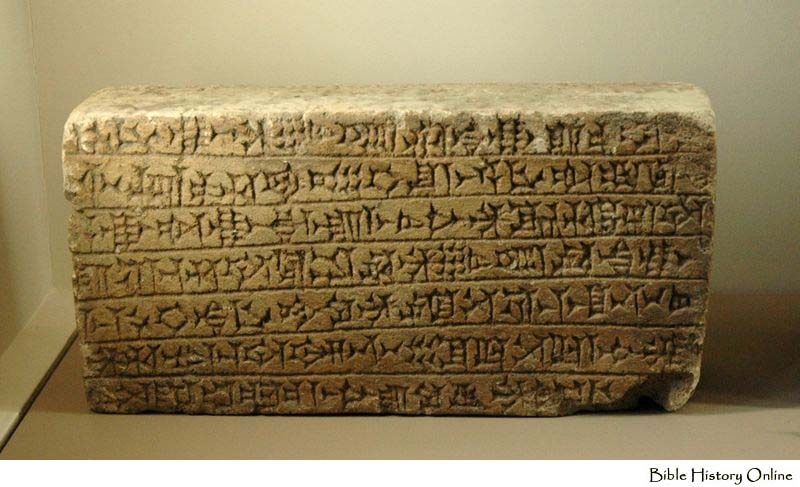 Its creation is dated variously from the 6th century BCE to the 1st century CE. Like football, there were probably various ball games played on horseback throughout the east dating into antiquity. The first properly authenticated reference states that the Persian Emperor Shapur II learnt to play polo when he was 7 years old in 316 CE. The game was picked up by the neighboring Byzantine Empire not long after. A tzykanisterion (stadium for playing tzykanion) was built by emperor Theodosius II (r. 408–450) inside the Great Palace of Constantinople. Qutubuddin Aibak, a Turkic slave from Central Asia who later became the Sultan of Delhi in Northern India, ruled as a Sultan for only four years, from 1206 to 1210, but died accidentally in 1210 while he was playing a game of polo. His horse fell and Aibak was impaled on the pommel of his saddle. After the Muslim conquests of Egypt and the Levant, creating the Ayyubid and Mameluke dynasties, their elites favored polo above all other sports in those regions. 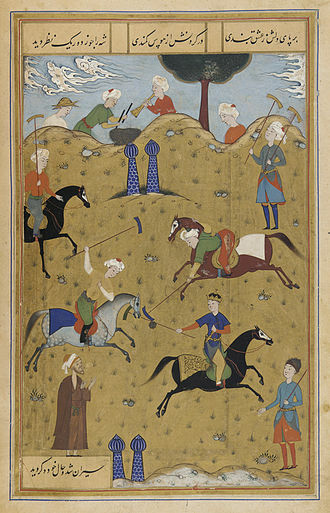 Notable sultans such as Saladin (1137 – 1193) and Baybars (1223 – 1277), are known to have played polo and encouraged it in their court. Polo sticks was one of the four suits in the deck of the Mameluke precursor to modern day playing cards. Around the 15th and 16th centuries polo migrated outward from the Persian empire to other parts of Asia including the Indian subcontinent, especially in the northern areas of present-day Pakistan (notably Gilgit, Chitral, Hunza and Baltistan), and China, where it was popular in the Tang dynasty capital of Chang’an, where is was played by women as well as men. Many Tang dynasty tomb figures of female players survive. 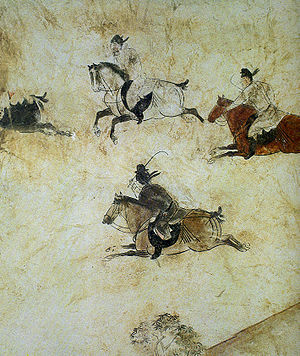 Polo was considered valuable for training cavalry, which accounts for its migration from Constantinople all the way to Japan by the late Middle Ages. The name polo is said to have been derived from the Balti (Tibetic) word “pulu”, meaning ball. 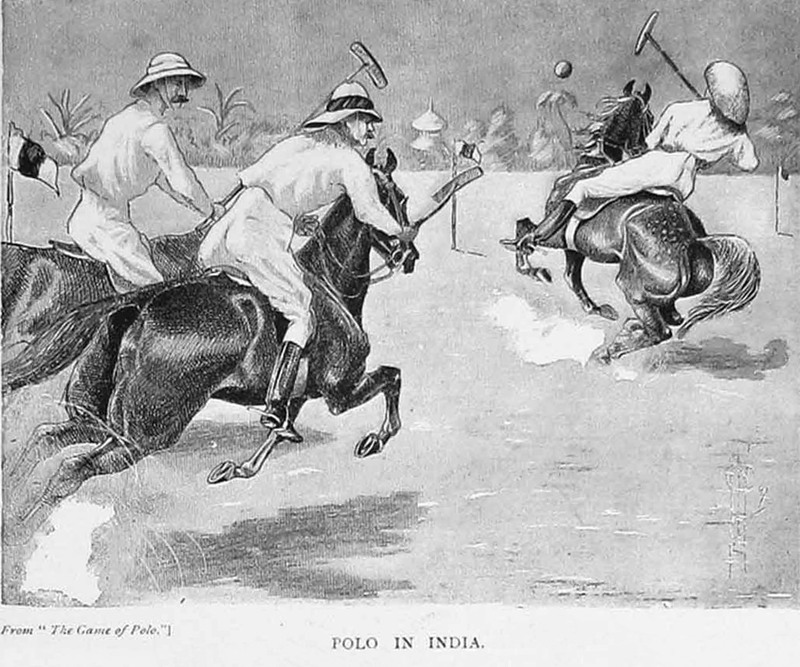 The modern game of polo evolved from the game as it was played in Manipur, India, in the 19th century, where the game was known variously as ‘Sagol Kangjei’, ‘Kanjai-bazee’, or ‘Pulu’. The origins of the game in Manipur are traced to early precursors of Sagol Kangjei. This was one of three forms of hockey in Manipur, the other ones being field hockey (Khong Kangjei) and wrestling-hockey (Mukna Kangjei). I don’t want to know what wrestling hockey is. Local rituals such as those connected to the Marjing, the Winged-Pony God of Polo, and the creation-ritual episodes of the Lai Haraoba festival enacting the life of his son, Khori-Phaba, the polo-playing god of sports may indicate an origin earlier than the historical records of Manipur. Later, according to Chaitharol-Kumbaba, a Royal Chronicle of the Manipur king Kangba who ruled Manipur much earlier than Nongda Lairen Pakhangba (33 CE) introduced Sagol Kangjei (Kangjei on horseback). However, it was the first Mughal emperor, Babur (1483 – 1530), who popularized the sport in India, and regular playing of this game commenced in 1605 during the reign of King Khagemba under newly framed rules. In Manipur, polo was, and is, traditionally played with seven players to a side. The players are mounted on the indigenous Manipuri pony, which stands less than 13 hands (52 inches, 132 cm). There are no goal posts, and a player scores simply by hitting the ball out of either end of the field. Players strike the ball with the long side of the mallet head, not the end. Players are not permitted to carry the ball, although blocking the ball with any part of the body except the open hand is permitted. The sticks are made of cane, and the balls are made from the roots of bamboo. Players protected their legs by attaching leather shields to their saddles and girths. In Manipur, the game was originally played by anyone who owned a pony, including commoners. The kings of Manipur had a royal polo ground within the ramparts of their Kangla Fort called Manung Kangjei Bung (literally, “Inner Polo Ground”). Public games were held, as they are still today, at the Mapan Kangjei Bung (literally “Outer Polo Ground”), a polo ground just outside the Kangla. Weekly games called Hapta Kangjei (Weekly Polo) were also played in a polo ground outside the current Palace. The oldest polo ground in the world is the Imphal Polo Ground in Manipur State. The history of this polo ground is contained in the royal chronicle Cheitharol Kumbaba (c. 33 CE). Lieutenant (later Major General) Joseph Ford Sherer visited Maripur and played on this polo ground in the 1850s. In 1862 the oldest polo club still in existence, Calcutta Polo Club, was established by Sherer and Captain Robert Stewart. Later they spread the game to their peers in England. The British are credited with spreading polo worldwide in the late 19th and the early 20th centuries. The game’s governing body in the United Kingdom is the Hurlingham Polo Association, which drew up the first set of formal British rules in 1874, many of which are still in existence. 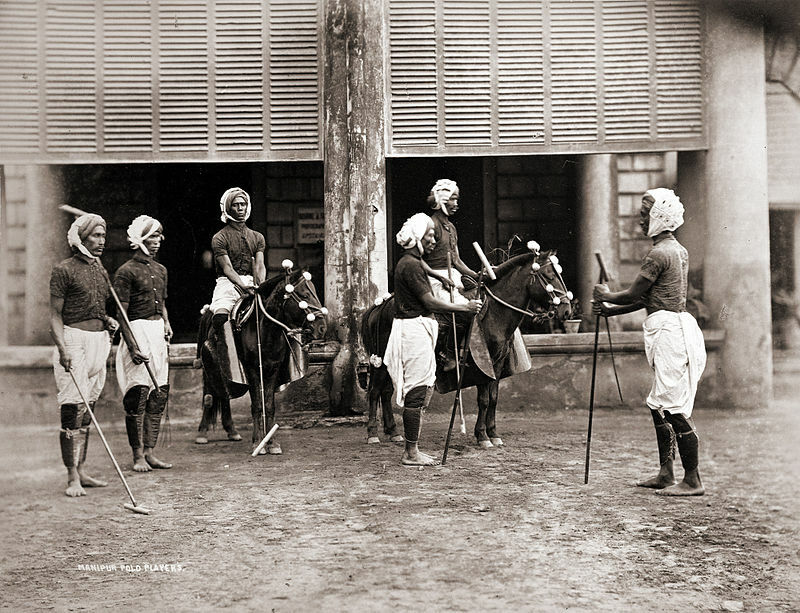 This version of polo played in the 19th century was different from the faster form that was played in Manipur. The early British game was slow and methodical, with little passing between players and only a few set plays that required specific movements by participants without the ball. Neither players nor horses were trained to play a fast, nonstop game. This form of polo lacked the aggressive methods and equestrian skills to play. In consequence teams representing Indian principalities dominated the international polo scene. Meanwhile, British settlers in the Argentine pampas started practicing polo during their free time. Among them, David Shennan is credited with having organized the first formal polo game in the country in 1875, at Estancia El Negrete, located in the province of Buenos Aires. The sport spread quickly among the gauchos, who were skillful horsemen (and proud of it), and several clubs opened in the following years in Venado Tuerto, Cañada de Gómez, Quilmes, and Flores. In 1892 The River Plate Polo Association was founded and constituted the basis for the current Asociación Argentina de Polo. In the Olympic Games held in Paris in 1924 an Argentine team took the gold medal (the country’s first Olympic gold) and repeated in Berlin in 1936. Argentina is credited globally as the mecca of polo, mainly because Argentina is the country historically with the largest number of 10-goal handicap players in the world – ever. Polo players are rated on a scale from minus-2 to 10. Minus-2 indicates a novice player, while a player rated at 10 goals has the highest handicap possible. It is so difficult to attain a 10-goal handicap that there are fewer than two dozen in the world, and about two-thirds of all players handicapped are rated at two goals or less. All living ten-goal handicappers are Argentinos, with the exception of David Stirling who was born in Uruguay but plays in Argentina. I am spoilt for choice when it comes to recipes. Persian? Indian? British? Argentino? Horse meat stew would be a bit morbidly ironic, I guess, although horse meat is popular in northern Italy. I’ll go with Manipur, since that’s probably the immediate home of modern polo. Eromba is a classic dish of the Meitei community of Manipur. It is simple yet delicious, largely because of the local vegetable ingredients. Eromba can be prepared with just about any seasonal vegetables that are considered compatible, hence can vary across regions and seasons. The word “eromba” comes from eeru taana lonba, meaning “mixing stirring watery” which when pronounced quickly becomes eromba or eronba. 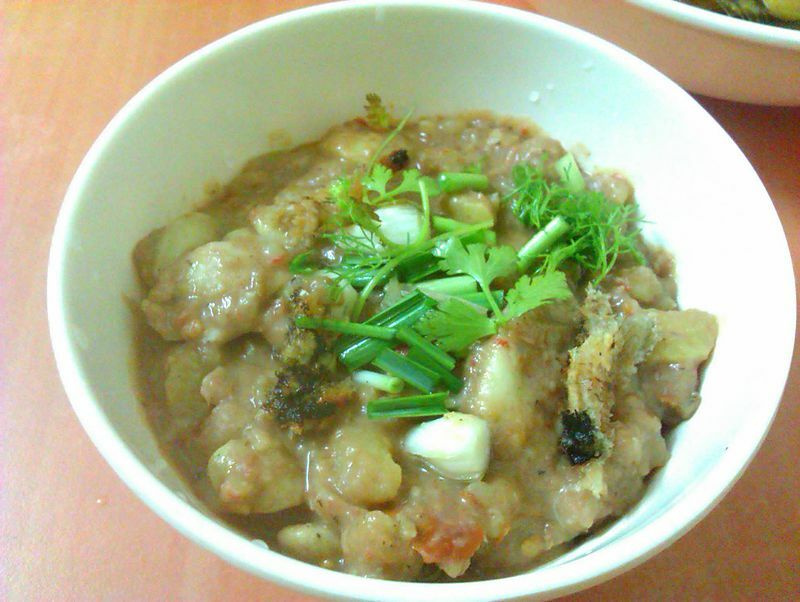 Seasoning can include ngari (fermented fish) for the non-vegetarian version, plus hot green or red ghost chile, green onion, Vietnamese coriander (Persicaria odorata), and chameleon plant (Houttuynia cordata). You know the drill by now. If you want the taste of Manipur, buy a ticket. I’ll see you there. I’m heading to Mandalay in a few weeks for a teaching job, which is right across the border from Manipur. 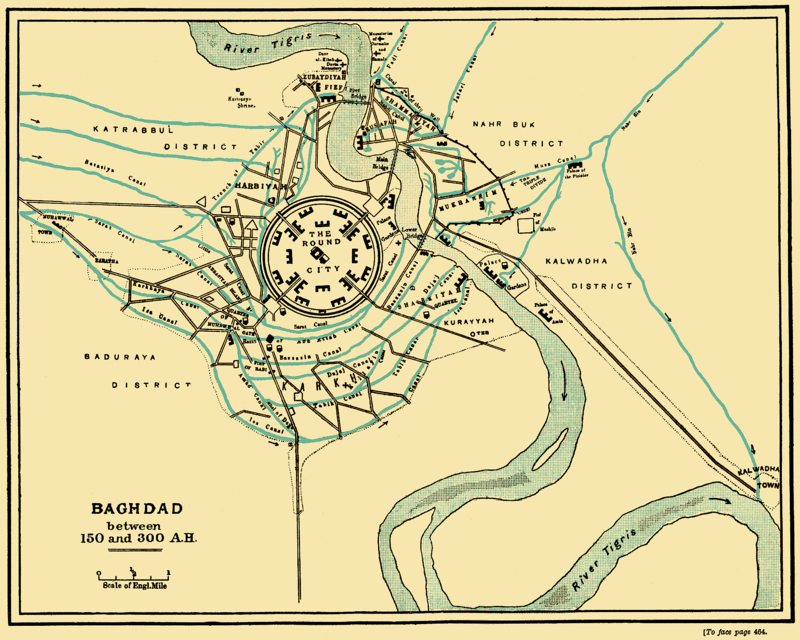 According to well certified documents, the city of Baghdad was founded on this date in 762. The founding of Baghdad was a milestone in the history of urban design and a landmark in cultural history. A city was born that would quickly become the cultural lodestar of the Old World. It horrifies me to think what the name Baghdad conjures up nowadays – war, famine, pestilence, horror. For me as a boy it was (and is still) the city of 1,001 Nights, of magic lamps and flying carpets. It was a center of learning that scholars gravitated towards. It was a great jewel that was much more magnificent than anything Westerners could conceive, let alone build. Yet now ignorant Westerners (which I hope is not the majority) look down on large swathes of the Middle East, cast aspersions on their culture, and drop bombs on their people. I’m not saying that living under a caliph in the 8th century was a picnic. But would you rather live in Baghdad under a caliph, or in Europe under the warmongering, illiterate Charlemagne whose greatest educational triumph was being able to write a capital “C” (his initial) on his thumbnail when he was an old man? After the fall of the Umayyads, the first Muslim dynasty, the victorious Abbasid rulers wanted their own capital to rule from. Choosing a site north of the Sassanid capital of Ctesiphon (and also just north of where ancient Babylon once stood), the caliph Al-Mansur commissioned the construction of Baghdad. Once Al-Mansur had chosen the site, he supervised the design. He had workers trace the plans of his round city on the ground in lines of cinders. The perfect circle was a tribute to the geometric teachings of Euclid, whom he had studied and admired. He then walked through this ground-level plan, indicated his approval and ordered cotton balls soaked in naphtha (liquid petroleum) to be placed along the outlines and set alight to mark the position of the massively fortified double outer walls. On 30 July 762, after the royal astrologers had declared this the most auspicious date for building work to begin, Mansur offered up a prayer to Allah, laid the ceremonial first brick and ordered the assembled workers to get to work. The scale of this great urban project is one of the most distinctive aspects of the history of Baghdad. With a circumference of four miles, the massive brick walls rising up from the banks of the Tigris were the defining signature of Mansur’s Round City. According to 11th-century scholar Al-Khatib al-Baghdadi whose History of Baghdad is our chief source – each course consisted of 162,000 bricks for the first third of the wall’s height, 150,000 for the second third and 140,000 for the final section, bonded together with bundles of reeds. The outer wall was 80ft high, crowned with battlements and flanked by bastions. A deep moat ringed the outer wall perimeter. The workforce itself was enormous. Thousands of architects and engineers, legal experts, surveyors and carpenters, blacksmiths, and laborers were recruited from across the Abbasid empire. First they surveyed, measured and excavated the foundations. Then, using the sun-baked and kiln-fired bricks that had always been the main building material on the river-flooded Mesopotamian plains in the absence of stone quarries (think the Tower of Babel), they raised the fortress-like city walls brick by brick. This was by far the greatest construction project in the Islamic world, with as many as 100,000 workers involved. The circular design was supposedly innovative (according to Al-Khatib), although there is archeological evidence of other, earlier circular cities. Four equidistant gates pierced the outer walls where straight roads led to the center of the city. The Kufa Gate to the south-west and the Basra Gate to the south-east both opened on to the Sarat canal – a key part of the network of waterways that drained the waters of the Euphrates into the Tigris and made this site so attractive. The city’s growth was helped by its excellent location, based on at least two factors: it had control over strategic military and trading routes along the Tigris and had abundant water in a dry climate. There were water supplies on both the north and south ends of the city, allowing all households to have a plentiful supply: most uncommon for any city at this time. Baghdad eclipsed Ctesiphon, the capital of the Persian Empire, which was located some 30 km (19 mi) to the southeast. Today, all that remains of Ctesiphon is the shrine town of Salman Pak, just to the south of Greater Baghdad. Ctesiphon itself had replaced and absorbed Seleucia, the first capital of the Seleucid Empire. Seleucia had earlier replaced the city of Babylon. The bricks used to make the city were 18 inches (460 mm) on all four sides. Marble was also used to make buildings throughout the city, and marble steps led down to the river’s edge. The city consisted of two large semicircles about 19 km (12 mi) in diameter. The city was designed as a circle about 2 km (1.2 mi) in diameter, leading it to be known as the “Round City”. The original design shows as single ring of residential and commercial structures along the inside of the city walls, but the final construction added another ring inside the first. Within the city there were many parks, gardens, villas, and promenades. In the center of the city lay the mosque, as well as headquarters for guards. This style of urban planning contrasted with Ancient Greek and Roman urban planning, in which cities were designed as squares or rectangles with streets intersecting each other at right angles. The four surrounding walls of Baghdad were named Kufa, Basra, Khurasan, and Syria; named because their gates pointed in the directions of these destinations. The distance between these gates was a little less than 2.4 km (1.5 mi). Each gate had double doors that were made of iron; the doors were so heavy it took several men to open and close them. The walls were 30 m high, and included merlons, a solid part of an embattled parapet usually pierced by embrasures. In fact there was a double outer wall surrounded by a moat. In the middle of Baghdad, in the central square was the Golden Gate Palace. The Palace was the residence of the caliph and his family. In the central part of the building was a green dome that was 39 m high. Surrounding the palace was an esplanade, a waterside building, in which only the caliph could come riding on horseback. In addition, the palace was near other mansions and officers’ residences. Near the Gate of Syria a building served as the home for the guards. It was made of brick and marble. The palace governor lived in the back part of the building and the commander of the guards in the front. 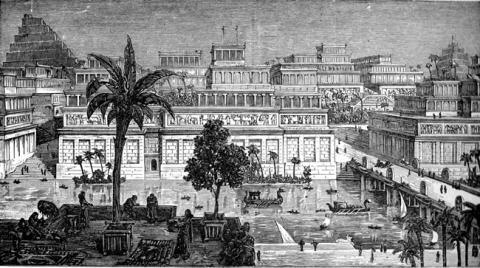 Within a generation of its founding, Baghdad became a hub of learning and commerce. The House of Wisdom was an establishment dedicated to the translation of Greek, Middle Persian and Syriac works. Scholars headed to Baghdad from all over the Abbasid Caliphate, facilitating the introduction of Persian, Greek and Indian science into the Arabic and Islamic world at that time. Baghdad was likely the largest city in the world from shortly after its foundation until the 930s, when it was rivaled by Córdoba. Several estimates suggest that the city contained over a million inhabitants at its peak. Among the notable features of Baghdad during this period were its exceptional libraries. Many of the Abbasid caliphs were patrons of learning and enjoyed collecting both ancient and contemporary literature. Although some of the princes of the previous Umayyad dynasty had begun to gather and translate Greek scientific literature, the Abbasids were the first to foster Greek learning on a large scale. Many of these libraries were private collections intended only for the use of the owners and their immediate friends, but the libraries of the caliphs and other officials soon took on a public or a semi-public character. Four great libraries were established in Baghdad during this period. The earliest was that of the famous Al Mamun, who was caliph from 813 to 833. Another was established by Sabur Ibn Ardashir in 991 or 993 for the scholars who frequented his academy. Unfortunately, this second library was plundered and burned by the Seljuks only seventy years after it was established. This was a good example of the sort of library built up out of the needs and interests of a literary society. The last two were examples of madrasa or theological college libraries. 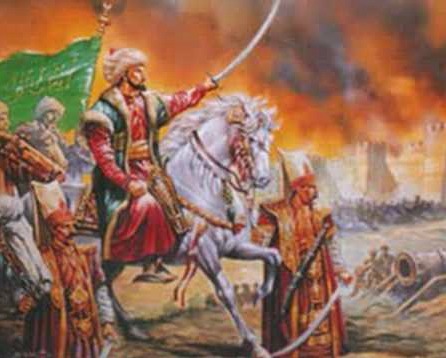 The Nizamiyah was founded by the Persian Nizam al Mulk, who was vizier of two early Seljuk sultans. It continued to operate even after the coming of the Mongols in 1258. 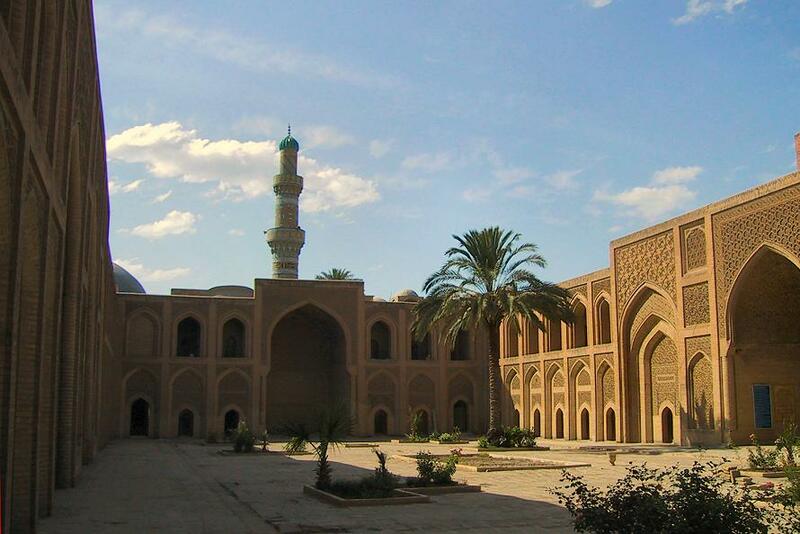 The Mustansiriyah madrasa, which owned an exceedingly rich library, was founded by Al Mustansir, the second to last Abbasid caliph, who died in 1242. This would prove to be the last great library built by the caliphs of Baghdad. The death struggle between the Islamic empires of the East and the Christian empires of the West waged on in earnest for several centuries, with the Jews caught in the middle. I wonder when the great cultures of the peoples of the books of Abraham will learn to live in harmony. Not in my lifetime, I fear. True to form this is not much to go on, but it’s a start. 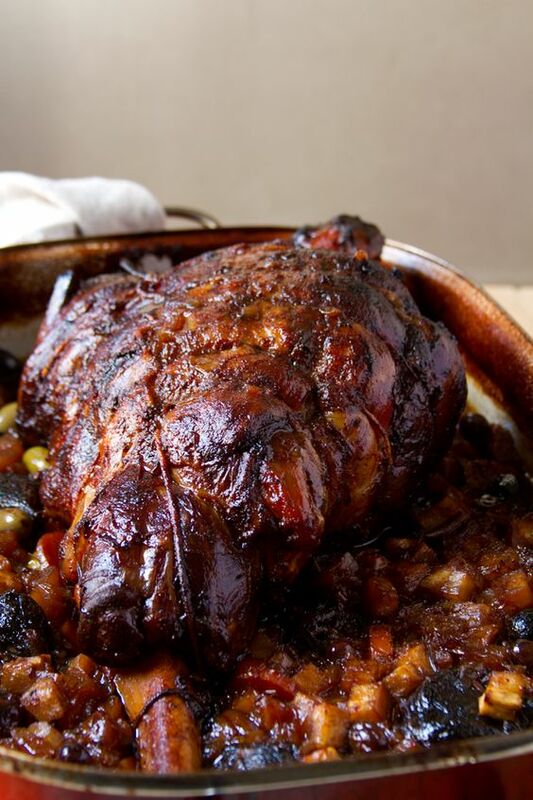 Basically it tells you to put a whole lamb in an oven and make a sauce with pepper, rue, onion, savory, pitted prunes, asafetida, wine, liquamen, and oil. I don’t have the ingredients to experiment with this recipe right now, nor the guests to serve it to – a whole roast lamb feeds a bunch. I’d more than likely use a leg of lamb anyway, but you’re still talking about 4 – 6. What’s more, it’s stinking hot and humid right now in Mantua, so I’m not about to roast anything. The sauce seems to be a classic Eastern blend of sour, sweet, bitter, spicy, and salty, so I will give it a try at some point. Getting the proportions right for modern taste buds is going to be a challenge.